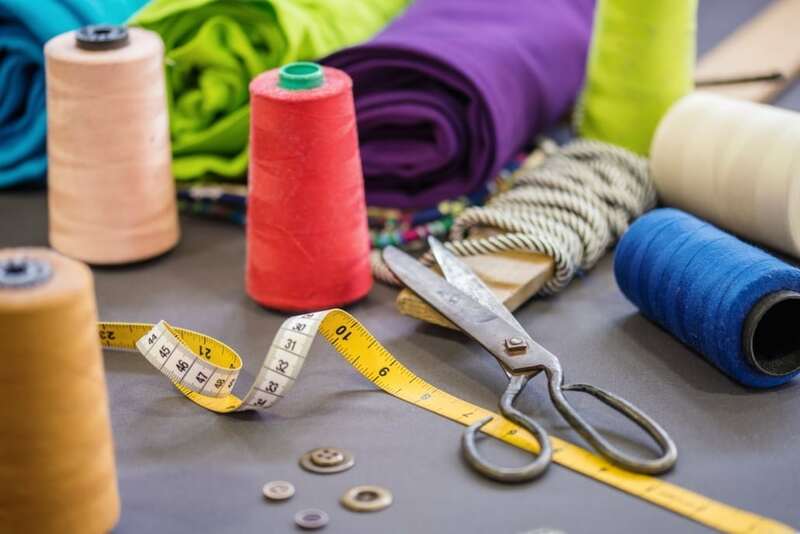 Whether you’re looking to start a new business or just want to make little extra money in your spare time, sewing is a hobby that’s more than just a fun pastime—it can be downright profitable too! 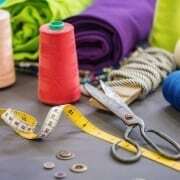 However, many beginners mistakenly believe that their skills aren’t developed enough for sewing craft projects that people will pay for. In this article, you’ll find 10 simple sewing projects that are easy for a beginner but stylish and functional enough to be in-demand. From books to toys to everything in between, this adorable basket is the perfect storage space for folks who want a little charm with their functionality. And with the built-in handles and chalkboard label, organizing and reorganizing is a breeze. Changing diapers is not the greatest part of being a parent, but this diaper and wipes satchel adds a little fun flair to the process. The customization options are endless, but the basic structure has the perfect level of difficulty for the inexperienced sewer. Tote bags are in high demand, and luckily they’re easy enough that beginners can create high-quality versions themselves! This floral-themed tote is definitely eye-catching, so don’t be surprised if it sells quickly! Whether it’s a road trip or a plane ride, neck pillows are a must for travelers who want to keep aches and pains at bay. The simple pattern and construction make this one of the easiest projects on the list! Just because you’re a beginner, it doesn’t mean you have to stick to boring, typical sewing craft projects! Case in point: these fabric baby shoes are out-of-the-box but totally simple to create. They may look simple, but these floor pillows are sure to be a hit with potential customers. Who can say no to something so fluffy and comfy? This is a great project to let your creative side shine by choosing fabrics that embody your personal style! If you love to repurpose old objects, this is the project for you. In just a few simple steps you’ll transform an old scarf into a stylish kimono. Seriously—three seams and you’re done! Pillow covers are a classic project when you’re learning how to sew, but they can be a real money maker too. They’re an inexpensive way to spruce up a room, so it’s no wonder they’re so popular. Knit fabric is incredibly comfy, and you don’t even need to know how to knit in order to use it! In this instance, an old knit sweater will work just fine. This beanie looks so cute that no one will be the wiser! The finished product looks sleek and trendy, but this clutch is easy enough for a beginner to create. The smoothness of the leather and the texture of the felt create a combination that wouldn’t look out of place in a professional designer’s fashion line! If you loved these sewing craft projects and want to know more, be sure to contact us with any questions or comments you might have!